But it was out there and my friends found the Facebook page. They instantly liked it and shared it with all of their friends. They were liking and sharing a Facebook page for my blog that didn’t exist. I was mortified. But we were laughing so hard that it was impossible to be upset. It was May 1, 2015 when we were reading this. There was a lot to wade through. Jon wrote on the Facebook page that night, “Can’t wait for your first post!! !” and our friend, Marissa, wrote, “Omg The Tasty Page is the best!!! !” I declared Marissa The Tasty Page’s biggest fan and said that the first recipe would be dedicated to her. And it would be a hot dog. 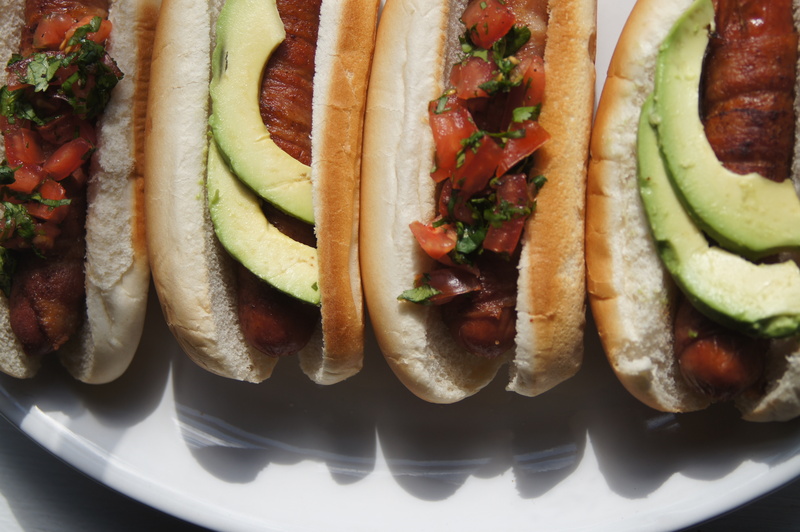 Well, the hot dog recipe didn’t make it as the first recipe, but it is here now. 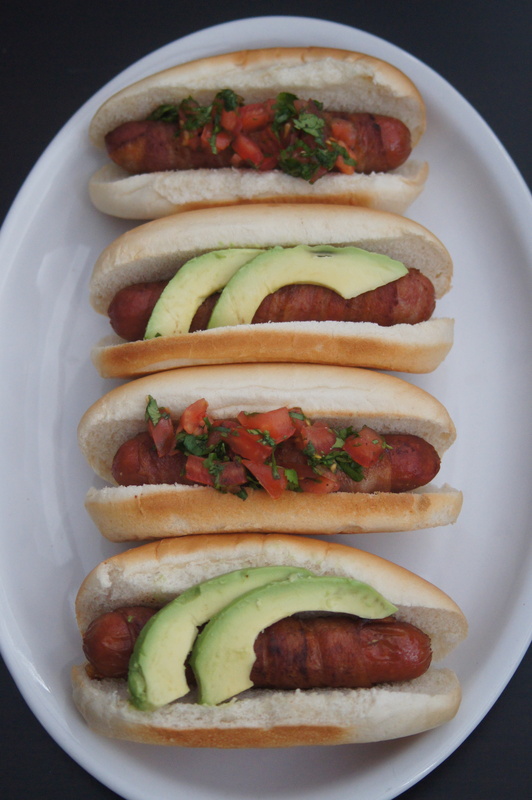 And as promised, this very special hot dog recipe is dedicated to Marissa. For those that don’t know Marissa she is just simply amazing. I don’t think I’ve ever not laughed when we were in the same room. And I’m talking really laugh. The “it hurts – make it stop but I really don’t want it to stop” kind of laughter. If you are having a bad day see Marissa and she will make all the BS go away. Marissa also has a talent with her Marissa-isms. She was the one that actually came up with the term “Fat Friday.” (I’m sure someone else said it first, but in our group of amazing CrossFit friends, Marissa was the first to use it.) I have shared a few Fat Fridays with her and they have been superb. Considering some of the CrossFit workouts we do, these Fat Fridays are essential. OK, maybe not essential, but definitely well-deserved. The way she is as a CrossFit athlete is the same way she is as a person: awesome and strong. I’ve seen her push through a workout where her back was hurting her. But rather than tap out and give up she kept on going and she finished. I did the same workout after her and her time for completing it was way better than mine. And I wasn’t hurt. I think this hot dog recipe is perfect to dedicate to Marissa. The hot dog is just like Marissa: fun, beautiful, it’ll make you happy, and you’ll feel like you can crush the world after eating it. Marissa, I just compared you to a hot dog! But it’s a lovely one. Mix the tomato and cilantro together and season with salt & pepper. Juice the lime over it and mix. Pat the hot dogs and bacon dry with paper towels. Wrap each hot dog with a slice of bacon in a spiral. If needed, secure the bacon at each end with a toothpick. In a large skillet, heat the vegetable oil until shimmering. Add the hot dogs and cook over moderate heat, turning, until the bacon is crisp all around. Transfer the hot dogs to paper towels to drain. Discard the toothpicks if using. Tuck the hot dogs in the buns. 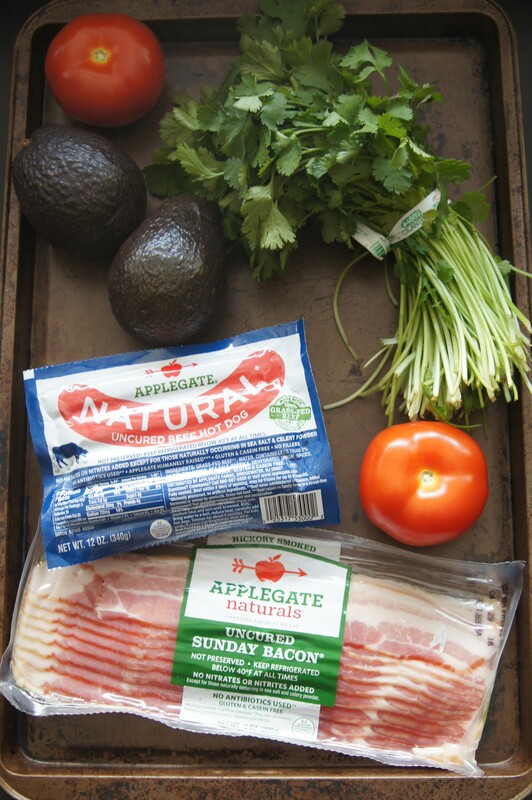 Top with the tomato and cilantro mix and sliced avocado and enjoy.